They’re growing in popularity with two companies already taking over the city of Santa Monica and all throughout Los Angeles County. Bird and Lime scooters are ride-share companies that allow individuals to rent electric scooters. In some areas of the county, these scooters are more accepted than they are in other areas. For example, there was an initial discussion in Los Angeles regarding the potential ban on these electric scooters. Now, however, there are measures to regulate them in order to improve the safety of those riding them, as well as how the rental companies manage their own scooters. The rules would propose tougher regulations and potential penalties. Other specific areas such as college campuses and the Santa Monica promenade have banned the use of these Bird and Lime scooters because of the number of pedestrians and current lack of regulations for their riders. Understanding the regulations proposed, the potential dangers of Bird and Lime scooters, and what legal matters exist is important. Our team at McGee Lerer understand that these will be in high use, but there should also be understanding of safety, as well as what rights you may have in regards to accidents involving these electric scooters. 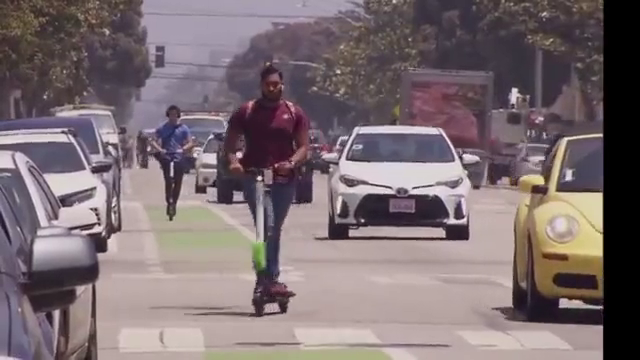 Santa Monica has accepted a pilot program plan for Bird and Lime scooters that would allow the ride-share companies to operate, but with specific regulations in place. Here’s how the regulations are broken down. During the pilot, the companies will be allowed to operate a maximum of 1,500 devices within the confines of the city. In 2019, there is a possibility to increase the cap to a total of 2,250 by the end of the year. The rental company could potentially lose its operating permit in the city if it makes a false or misleading statement, provides false or incomplete information by request of the city, or operates in a way that puts public safety at risk. The scooter companies must have insurance, as well as minimum operating requirements for education, safety, customer service, and maintenance. There must also be a way to evaluate the performance of the companies. Home to many young residents who wanted the Bird and Lime scooters to be a prominent staple in the city, the West Hollywood City Council recently saw a 4-to-1 vote that decided to move forward with the ban on these electric scooters. One councilmember cited a recent event in which a blind man walking on the sidewalk on Santa Monica Boulevard approached an incorrectly parked scooter. If the councilmember didn’t move the scooter, it would have resulted in an injury. Multiple other councilmembers supported the decision because of the risk posed to individuals walking on the sidewalks, as well as to those individuals who don’t wear helmets or follow the regulations set forth to protect riders. Along with West Hollywood, Beverly Hills has approved a six-month ban on electric scooters, citing safety concerns associated with the rise in popularity. City officials have noticed the scooters popping up around down with police handing out over 100 warnings and citations to individuals riding the scooters for not using helmets or having a valid driver's license. Bird and Lime scooters are a great way for some people to get from one location to another, but there are a number of potential concerns that arise regarding safety. Not just for the rider, but also for pedestrians, other electric scooters, and drivers on the road. While these are great to have posted, with so many units in operation, it may be difficult to regulate these safety guidelines and ensure that they’re being properly followed, which can put the riders at risk of serious harm should an accident arise. Which Types of Accidents Can Occur? Because Bird and Lime scooters are without much protection, the various accidents that can occur are dangerous. They often result in serious injuries and many of the instances involve individuals either breaking the rules, or because of the potential of drivers not paying attention. One of the most dangerous types of accidents occurs when drivers are not properly paying attention to the road. When you consider the lower visibility of Bird and Lime scooter riders, the potential for disaster is heightened. To further endanger the rider, there are no barriers between them and vehicles. The lack of a frame and the open nature of a scooter makes any accident between scooter and vehicle much more damaging. Riders can suffer broken bones, traumatic brain injuries, spinal cord damage, and much more. Furthermore, some riders may operate their scooters in an occupied location, which means pedestrians are also at risk of serious injury should a collision occur. Even parked vehicles pose a threat as someone can open their door right into a scooter rider, causing them to collide or lose control of the scooter. Whatever the case may be, these scooters must have heightened safety precautions to keep riders free of harm in order for the pilot to be considered successful and the cities to allow further use of these ride-share opportunities. It’s an unfortunate situation, but accidents and subsequent injuries can happen as a result of incorrect use of these Bird or Lime scooters, or because driver negligence. When they do, it’s important to look for a highly qualified Santa Monica bird scooter lawyer who knows how to protect your rights. Because this means of transportation has recently risen in popularity, legal matters can be quite complex with no set precedence. However, negligence is negligence, and in any situation, the person responsible for the accident and injury should be held accountable. At McGee Lerer, we recognize that riders will often be at the other side of the finger pointing when it comes to accidents. The rental company may claim that the rider assumed the risk of liability. The insurance company may say the rider was reckless or not following the rules. We know what evidence is needed to help injured individuals seek the justice they need when someone else’s negligent actions result in harm. Whether you’re an injured Bird or Lime rider, pedestrian, or other party, we may be able to help. Call us at (310) 692-9582 to discuss your potential legal options moving forward.